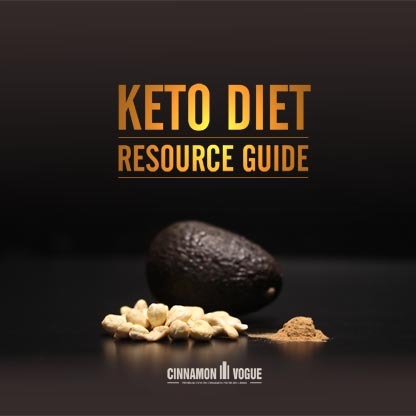 We made a comprehensive keto diet resource guide to help our customers lose weight, reverse type 2 diabetes and help them live healthier. Packed with the best video links and resources we could find. This page is a work in progress and as such will need to be adjusted as more information becomes available. But it a good starting point. But we went further and did the keto diet ourselves, suffering some of the pitfalls and learning from them. It is the hottest thing today, but it is not a fad. Finally we may have a diet program that is sustainable. It is not a diet but rather a lifestyle that will help you live longer and healthier. Even if you cannot sustain it long term, it is at the very least, a way to set your body to zero (imagine your younger healthier self) and cure yourself of diseases like Type 2 diabetes. The original Keto diet was discovered in the 1920's as a treatment option for Epilepsy according Wikipedia It was abandoned because medication was developed to address Epilepsy. A classic case of how the drug industry started feeding us drugs instead of using natural cures. Later on, the Keto diet was adopted as a post cancer recovery treatment. Makes sense as most cancer cells (but not all) are propagated due to high sugar levels. Today Keto has evolved as the best way to reverse type 2 diabetes and help weight loss. But the Ketogenic diet is also effective against at least fourteen illnesses including kidney disease, cancer, Alzheimer's, stroke, fatty liver according to Dr. Jason Fung whose book we cover in this blog post. Keto is the process of getting your body to use stored fats as opposed to using sugar for energy. The American diet has become so poisoned we have all become sugar addicts, even for those who consider themselves quite healthy. The Keto diet involves eating a diet that is 75% | 20% protein| 5% carbs. The ratios can be adjusted slightly ±5 depending on your situation. The high fat diet is primarily to help keep you satiated, so you won't get hungry and also to provide nutrients. For example Pork Belly is the 8th most nutrient dense food in the World according to the BBC. Calculate your calories composed of fat, protein and carbs from this excellent site. This calculator will allow you to adjust the amount of carbs, but keep it at 5%. All the carbs should come from vegetables and not rice, bread or potatoes. One thing to remember is you have to adjust your calories as you lose weight. For example if you start of with 200lb of weight, the calorie required for that will be different when yoi get down to 180lb. Keep adjusting the calories downward as you lose weight. You also have to watch your protein careful, as high protein levels will spike insulin and throw you off Keto. Even too much fat will throw you off Keto. You must give up sugar entirely. It means zero sugar. That includes, sugar substitutes like Stevia, fruits and some vegetables such as sweet corn and starchy vegetables. Pretty tough we know, but not as tough as giving up pure carbs. According to Dr. Eric Berg in this YouTube video, even a tiny amount of sugar will throw you off Keto. Every time we felt lik sugar we actually ate something fatty be it Cashew nuts or a piece of Pork Belly. If you are drinking coffee, use heavy whipping cream and avoid adding the sugar. If you must add little bit of sugar, then add a drop of Ceylon Cinnamon Bark Oil which will negate some of the effects of sugar, but that is only until you get started. Then avoid sugar in any form. Look for hidden sugar in things like Chilli sauce and other products. The simple solution is not to eat take out food or packaged food. Don't panic, but you do need to do intermittent fasting if you are doing the Keto diet. Most people actually do fasting without even realizing it when they skip breakfast. There two main fasting stages 16:8 and 20:4. That means fasting for 16 hours and eating within the next 8 hours or fasting for 20 hours and eating within the next 4 hours. Watch Dr. Eric Berg's video on intermittent fasting as shown here. Ideally fasting can be done twice a week. Anything more is up to you. It's true. For perfect Keto adaptation and weight loss you need perfect deep sleep and not light sleep. Many people have hectic schedules which often means sleep is almost impossible due to work deadlines, family obligations and other distractions. And don't take sleeping tablets for sleep. Did you know that weight loss comes out of your mouth? Watch this cute animated video on how it happens. While exercise might help you lose some weight, deep sleep with a good diet will help you lose more weight. Unfortunately this is true. As we get older we mistake hunger for thirst. A glass of water with lime or lemon and crushed iced really helped us. To calculate your water needs use this formula on this site. Remember however if you do increase water your intake you need to increase salt intake, so adding some salt your water is very useful. Watch Dr. Berg talking about salt on this video. Cardio exercises does not help Ketosis. High intensity exercise is somewhat helpful, but keep it to a minimum. This is due to two reasons. First, when you start Keto you will be relatively weak (we fell and injured ourselves playing Tennis) and you will not be able to exercise at the same intensity. Second, exercise will make you more hungry and trick you into eating more. If you exercise make it High Intensity exercises (weight lifting) for no more than 10 minutes. We also recommend intermittent high intensity exercise which means sporadic weight lifting with no set patterns and even avoiding exercise on some weeks. Once you are Keto adapted and can go without carbs or sugar, you can gradually increase your weight lifting, primarily to improve bone density and overall health. A this stage you can throw in some cardio too, at least to be able to sprint and run in a emergency situation. But do you need to exercise on Keto? Not necessary. Get the diet under control first. Can you have a cheat day on keto? When you are trying to get into the keto diet perhaps. Give yourself a 1-2 months tops to get into the keto diet and throw in some cheat days during this time. After you go into full keto, cheating will set you back to zero. However carb refeeding can work for some people. That means a small amount of carbs like rice or potato or good quality organic bread without sugar once a week. It certainly helped us to break a Keto weight loss stall. You can read more details on the side effects of Keto on this site. This is how we solved the issues. Frequent urination Increase salt intake. Need about a 1 tsp of salt per day at minimum. Tired or hungry due to Low Blood Sugar Go slow. Start by eliminating sugar for 3 days. Refeed one day and then go 7 days, then refeed on sugar for 1 day and then go two weeks and so forth. Bloating 2 tsp. Braggs Organic Apple Cider Vinegar daily until bloat goes away. Cannot sleep High Intensity exercise for ten minutes and two boiled eggs before bed. Smelly breath Have some Ceylon Cinnamon stick tea. Definitely no supplements for Keto! Yes many people offer supplements and all kinds of things to help Keto. While it is true that the body needs extra Potassium, Magnesium, B Vitamins and few other nutrients, you can get everything you need from real food. Adding Organic Apple Cider Vinegar however is an excellent idea. That you need. to prevent bloating and help with adjusting. It's real food. A touch of Ceylon Cinnamon is also useful for digestion, to help scrub sugar faster (especially after cheating) and adds amazing taste to food. A keto recipe book is also very useful, as meal preparation is the biggest impediment to completing a successful Keto diet. Might be an idea to learn how to cook very well as interesting food. presented well, helps to break the tedium of the keto diet with all its restrictions. Whether you buy Keto strips or Keto test meters, these can be highly unreliable. If you have the money and want to have a bit of fun go ahead. For the most part due to unreliability these testing methods can get you frustrated with wildly different readings. The best method to verify that the Keto diet works is your weighing scale. It's that simple. Watch these videos first which will give you a good understanding of the Keto diet. Planning your meals is one of the keys to success. Most people fail because they run out of Keto meals and reach for the bread and rice. The second difficulty is calculating what 75% fat, 20% protein and 5% carbs would look like in your meals. This was our greatest difficulty. Take a look at the 7 day Meal Plan by Perfect Keto listed below. Plus we have included a hand fillabable meal planner of ours and one we filled out with our plan which is not perfect, but a good start. One of the most important aspect of the Keto diet or any diet for that matter is to watch your levels of Potassium, Magnesium and Sodium (salt). The average human apparantly needs 3500mg of Potassium (2000 Calorie intake) , 400mg of Magnesium (2000 calorie intake) and approximately 1 tsp of salt per day. Failure to do this will result in you feeling terrible. You also should watch your levels of B vitamins, especially B12. Ideally you want to get all these from natural food and not supplements which have fillers and all kinds of junk. There are some fun videos with real people doing Keto. Neanderthal Radio Dec 23, 2016. Here is a list research studies on Keto. Some of them positive and some of them negative. Please keep in mind negative research studies may have been funded by the drug industry, as the medical industry has a history of doing this by paying of Doctors, funding universities and other association like to American Diabetes Association. In most cases your fasting blood sugar levels may increase on the Keto diet. This is normal and expected. The important thing is your insulin levels will be low. Of course home blood testers can give wrong results by as much as 15%. Read this great article on what you need to know about this issue. Over time however the blood sugar levels will come down as your body adapts to the Keto diet. CAN YOU EVER GIVE UP KETO? The answer to this question is Yes and NO. The moment you have a little bit of sugar after you have lost all the weight, the old cravings come back. Sugar is that powerful. A piece of chocolate cake eaten at a party will leave you craving for sugar for days and maybe weeks. After eating sugar you will get hungry more frequently and will tend to eat more. Good fat on the other hand will keep you satiated for much longer. With carbs, a cheat day or maintaining a small amount of carbs is much easier, but it too can creep up on you, so be very disciplined. However we think you can revert back to a normal diet without sugar once you have set yourself to zero. Meaning trim and fit with no excess weight.